When you break a motor vehicle law, you might get a ticket. A ticket can mean a large fine. It can also mean that you get driver penalty points. The ticket will show the offence(s) you are charged with and a penalty beside each offence. There is also information on the ticket about how to pay it and how to dispute it. If you are charged with a more serious traffic offence, such as careless driving or hit and run, you will get written notice of the offence in the form of a Summons or an Appearance Notice. A Summons is mailed to you or personally delivered to you. An Appearance Notice is given to you by a police officer at the time of offence. These documents describe the offences you are charged with. They also tell you when you have to appear in court. You MUST appear in court. If, for some reason you cannot appear in court, contact the court registrar to inform them. If you receive a Summons or Appearance Notice you may need to talk to a lawyer to get legal advice. A lawyer could represent you in court. If you get a traffic ticket, you can get a fine and penalty points that affect your car insurance rates. For more information about points, see The Points System and ICBC. For a list of the offences, the fines and the points, see the ICBC website. Some of the more common offences are listed below. If you pay the fine, you don't have to go to court, but you are “convicted” of the offence. For most tikets, you can pay your ticket within 30 days to have it reduced by $25. You can pay by phone, in person or by mail. The ICBC website can tell you how to do it and where. You have 30 days to dispute a traffic ticket. If you don’t dispute it within 30 days, you will be automatically convicted. You may receive penalty points against your driver’s licence and not be allowed to drive for a certain time. You won’t be able to renew your car insurance or your driver's licence until you pay the fine. You can dispute a ticket or fine if you feel it was unfair because you didn’t commit the offence. If you agree that you committed the offence you can still dispute the amount of the fine reduced or request more time to pay it. If you don’t agree with a traffic ticket or fine, you have to do it within 30 days of getting the ticket. You will have to register your dispute, then you will have to appear in traffic court. For more about disputing a traffic ticket or fine, go to the ICBC website. 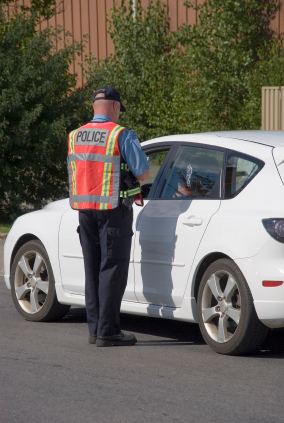 For more information on disputing traffic tickets, see Traffic Tickets.